Line the cupcake pans with the paper baking cups. Mix the flour, sugar, baking powder, salt, shortening, 2/3 c. of the milk and all of the vanilla in a large mixer bowl on low speed for 1/2 minute. Scrape the bowl. *Carefully increase the mixer speed to high and beat for 1 minute. Scrape the bowl. *Beat an additional 1 minute on high and scrape the bowl again. Add the remaining milk and the egg whites and, carefully increasing the speed, *beat for 1 minute on high. Scrape the bowl. *Beat an additional 1 minute on high and scrape the bowl for the last time. Fill each cupcake paper about 1/2 full with the batter. Bake the full-sized cupcakes approx. 17 minutes and the mini-cupcakes approx 15 minutes, or until the cupcakes are a light golden brown and a wooden toothpick inserted into the center of a couple comes out clean and the cupcakes spring back when lightly touched with the finger. Cool the cupcakes in the pans on wire rack(s) approx. 10 minutes, then remove from the pans and finish cooling on wire rack(s). 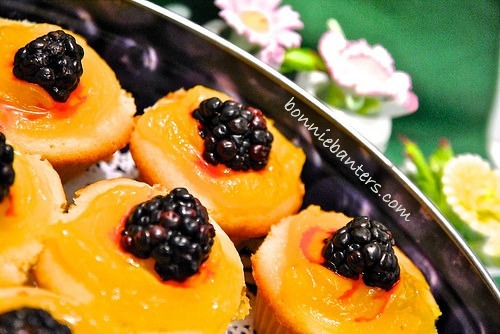 When the cupcakes are completely cooled,* spread carefully with the lemon curd and top with a blackberry half. 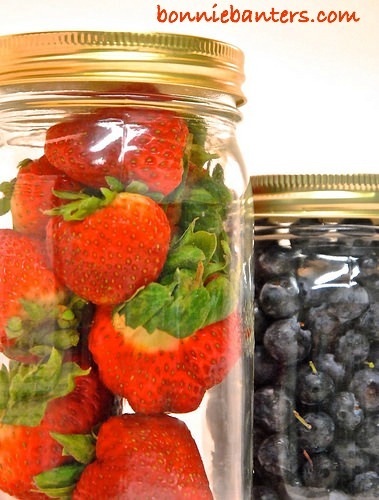 Store in a covered plastic container in the refrigerator. Though the cupcakes are best eaten within a day, they will keep up to a week in the fridge. Carefully increase the speed of the mixer each time you beat the batter on high. 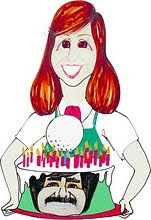 Once completely cooled, if not topping the cupcakes right away, store in a covered plastic container at room temperature or in the fridge (place wax paper or parchment paper between layers if stacking). 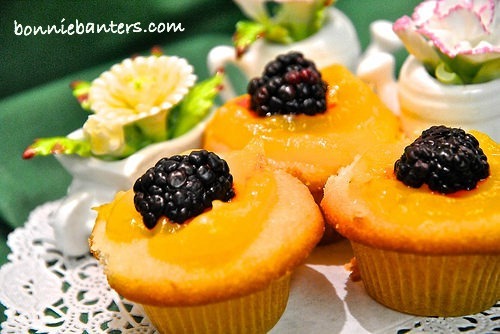 Enjoy these easy, luscious cupcakes for a wonderful, light spring or summer dessert! Thank you so much, Rachel...they are simply scrumptious! Happy Fourth to you also!